Naples yellow is a muted, pale, reddish-yellow color with excellent covering power and chemical stability. It is compatible with all other colors. The original pigment was lead based and toxic, so it is rarely used today. Modern versions of the pigment are mixed with less toxic elements, so colors vary considerably between manufacturers. Naples Yellow has excellent permanence and is unaffected by light. Naples Yellow is moderately toxic if in contact with skin and highly toxic if inhaled. The toxicity when ingested is unknown. 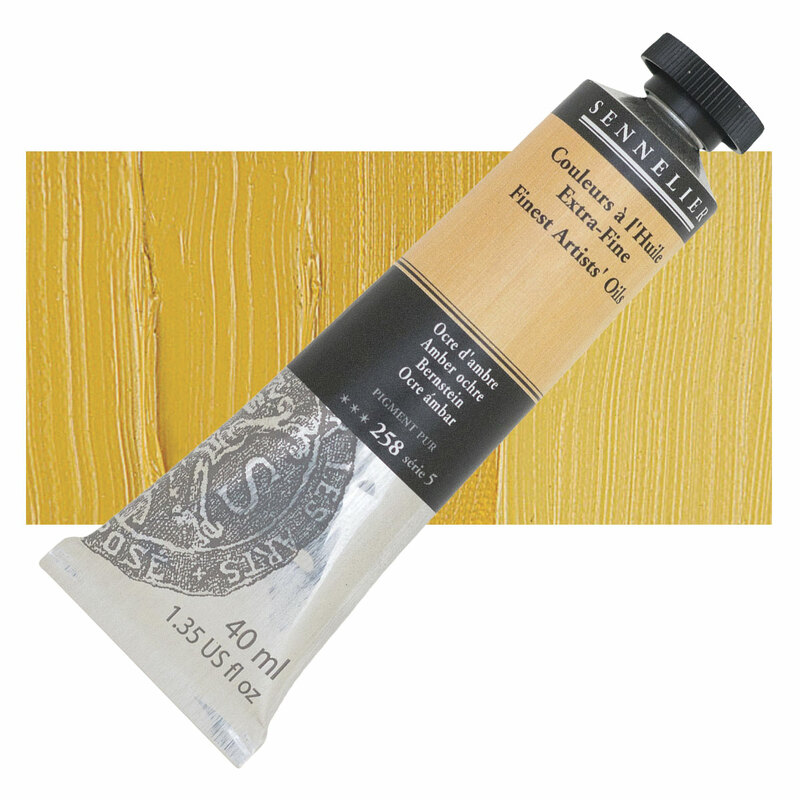 Most Naples Yellow pigments today are a mix of less toxic organic pigments, usually whites, ochres, and reds. Naples Yellow was originally made from the mineral Bindheimite, a natural ore of volcanic origin, as early as the 18th Dynasty (16th and 14th centuries BC). Assyrian artists used this pigment to make a ceramic glaze, and it is said to have been found on the tiles of ancient Babylonia. Its synthetic variety dates from the Renaissance, making it one of the oldest synthetically produced pigments. It was highly valued by the Old Masters, particularly Rubens, who preferred it for skin tones. Antimony Yellow, Brilliant Yellow, Gialloline, Jaune d’antimoine, Jaune Brilliant, Merimee’s Yellow.